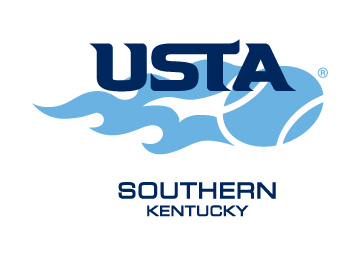 USTA Kentucky awards nomination process is online. Nomination period is open June 1 - September 15, 2018. Presented to a female adult player who has excelled in her tennis performance and sportsmanship. Presented to a male adult player who has excelled in his tennis performance and sportsmanship. Presented to a female USTA Kentucky junior player with outstanding tennis performance and sportsmanship. Presented to a male USTA Kentucky junior player with outstanding tennis performance and sportsmanship. Presented to a person who has volunteered his/her time and talents in an exemplary way to assist with USTA Kentucky functions and to grow the game of tennis. Given in memory of Mark Ragland, Jr. and presented to an outstanding male junior tennis player in recognition of his good sportsmanship. Given in honor or Mary Lou Hambrick, long-time leader of KY Jr. Tennis, and presented to an outstanding female junior tennis player in recognition of her good sportsmanship. Presented to a female high school tennis player who has excelled in her scholastic work. Presented to a male high school tennis player who has excelled in his scholastic work. Given in honor of Bruce Stone to recognize an individual who has developed an outstanding tennis program that provides leadership and inspiration in junior programs for schools, colleges, parks and playgrounds, and benefits the growth of tennis. Given to the female junior player who has made significant improvements in her ranking and overall tennis game. Given to the male junior player who has made significant improvements in his ranking and overall tennis game. Given in memory of Dee Dee Long and presented to an individual who best exhibits exemplary volunteer spirit throughout the USTA League Tennis program. Presented to a family who has been outstanding in their involvement and promotion of tennis. Presented to a coach who has excelled in guiding and managing a high school or college level tennis team. Given in memory of Paulette Griffith and presented to an individual who has demonstrated excellent leadership and management of a local USTA league or program. Presented to an individual who demonstrated excellent leadership and management of a Junior Team Tennis League or program. Presented to a tennis official who has made outstanding contributions to the cause of tennis officiating in Kentucky. Presented to a USPTA or PTR certified tennis professional who has demonstrated outstanding leadership in teaching the game of tennis. Given to an outstanding public or private tennis facility for its contribution and support in the promotion of tennis. Presented to a USTA Kentucky member organization in good standing, for outstanding service to the local community, to the organization members, and to the game of tennis. Presented to a special and/or charitable tennis event that has been exemplary in the promotion and support of tennis and/or philanthropic causes. One adult and/or one junior USTA sanctioned tournament that has been exemplary in demonstrating the USTA standards of organizing and conducting a sanctioned tournament. Presented to an event who’s organizers demonstrate outstanding execution of a tennis event. Presented to an individual who has contributed to the game of tennis by spreading information to the public. Presented to a wheelchair tennis player, program, volunteer or tournament that demonstrates outstanding community service, on-court ability, event organization and overall promotion of the sport. 1. Nominee must be a minimum of 25 years of age. 2. Nominee must be a resident of Kentucky for a minimum of 10 years. 3. Nominee may be a player, coach, organizer or referee / umpire. The Hall of Fame Committee may induct up to three persons per year. To be elected a candidate must receive more than one-half of the votes possible by the committee. Nominations are perpetual. If your candidate is not selected in the year submitted, they are considered each year thereafter and may be inducted in the future. If you wish to submit a nomination, please send a cover letter and supporting documentation of the candidate to the USTA Kentucky office by July 31 for first consideration that calendar year. Please help the Kentucky Tennis Hall of Fame Committee consider your nominee by organizing information on his/her participation in and contributions to tennis. To insure that we have the information to consider your nominee, the nomination should include information on your nominee’s performance in each of the following areas of his/her tennis involvement. Include career highlights; it is not necessary to list all of the activities. If the nominee has no involvement in any one of the five categories of activity, simply state “no involvement” for that category. COMPETITIVE PLAY: Highlight competitive accomplishments in the following age groups. Include individual and team/league performance as appropriate reflecting the year of the competition and the result. Include Kentucky, Southern, and National ranking as applicable. The committee is interested in the quality of play, the quantity of competitive play, and the length of nominee’s competitive play. TEACHING/COACHING: Include information on the type of facility [club, school, public park, etc.] and location of the coaching/teaching facility. Include the length of time teaching/coaching at each facility. If the nominee has coached well-known, successful players, name them. OFFICIATING: This category includes referees, umpires, and lines persons. Show the length of time as an official and level of play at which he/she officiated: local, state, southern, and national. ADMINISTRATION/ORGANIZATION: Describe the nominee's activities supporting tennis. List the organizations, job titles, and length of time in each position and significant accomplishments in the support of tennis. TOURNAMENT DIRECTOR AND/OR ORGANIZERS: List the tournaments, league playoffs the nominee has managed. Include the name of the tournament, the locations, and the years these competitions were held. Finally, please feel free to add any personal comments along with photos, newspaper or magazine articles supporting the nomination.